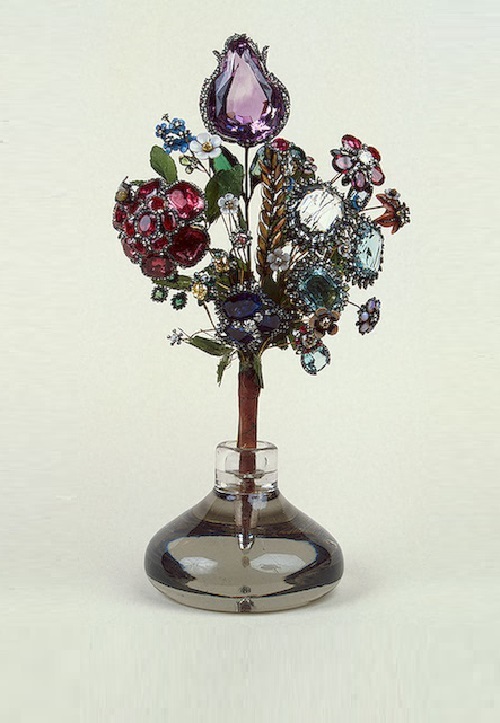 1763 Flower bouquet of precious stones was a romantic spring gift of Maria Theresia to her husband Emperor Franz Stephan. 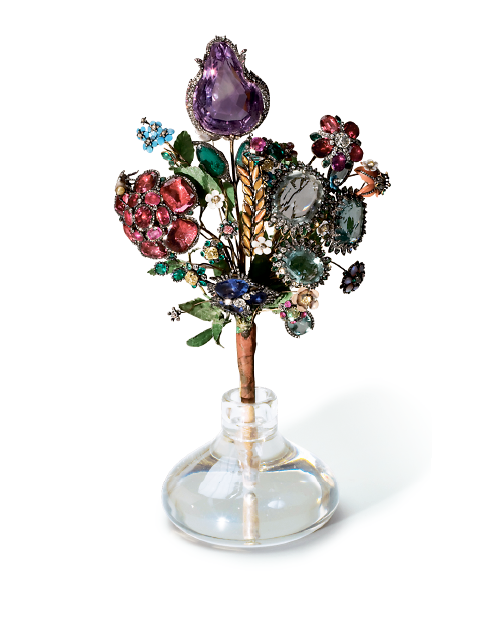 The baroque bouquet is exhibited in The Gemstone Collection of the Natural History Museum (Vienna). Emperor Franz Stephan was interested in natural sciences and Maria Theresia shared her husband’s interests. The jewel flower bouquet weighs 2,8 kilograms and is 50 centimeters high. It is unique not only for the value of used precious stones, but also for the incomparable craftsmanship. 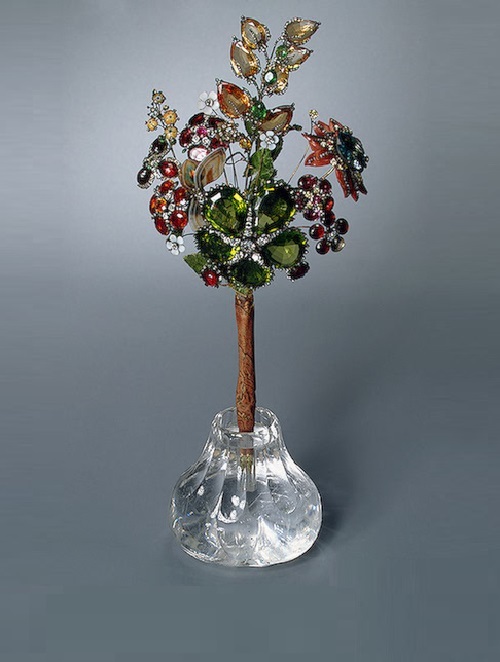 A wealth of glistening artistically reproduced flowers and diverse insects made up of 761 variegated stones and 2,102 diamonds, along with the vase of rock crystal. The leaves were crafted from lime green silk. 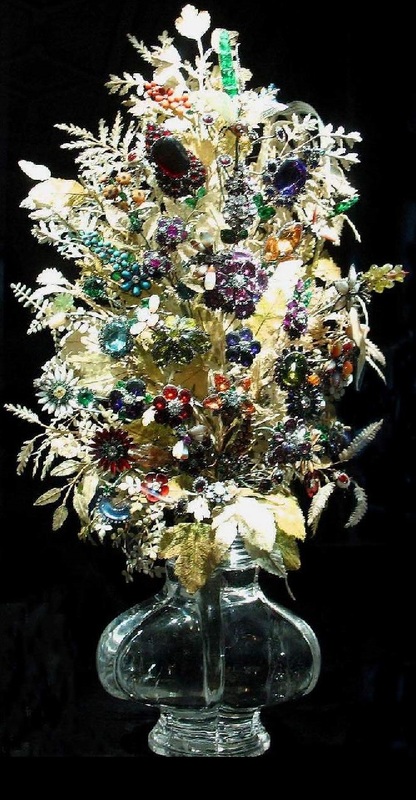 The bouquet is an incredible jewelry creation by Georg Gottfried Lautensack, a jeweler from Frankfurt. 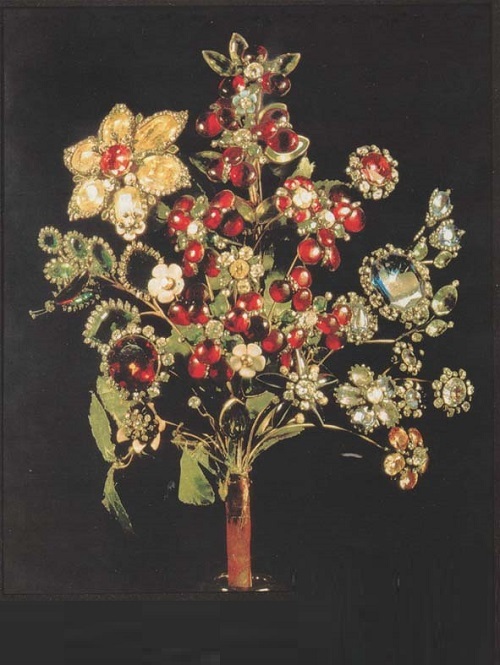 Even Johann Wolfgang von Goethe was intrigued by the bouquet, having mentioned about it in fourth book “Aus meinem Leben” (From my life): “Everyone knew of Emperor Franz Josephs great affinity towards gems, he especially favored colored jewels”. Jeremie Pauzie was an unsurpassed master of cutting and processing of diamonds and precious stones. In his works, he assigned a key role to stones, making gold and silver bezels barely noticeable, creating a feeling of lightness and weightlessness of stone patterns. Weightlessness in products achieved thanks to the large number of voids and intentional lack of symmetry in the design of the composition. Virtuoso cut, Jeremie Pauzie used colored gemstones (rubies, emeralds and pearls), and created works of jewelry art, symbolizing the wealth of their owners and artistic skill of their creator. 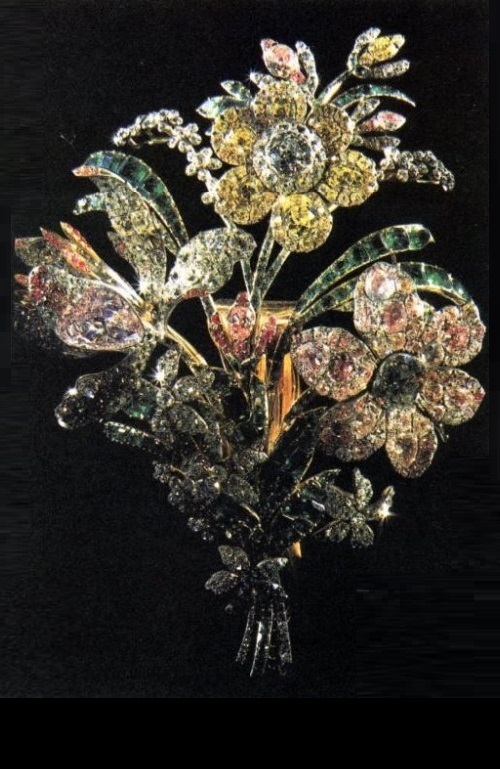 A significant part in the creation of the Diamond Fund took Jeremiah Posier (Jeremie Pauzie) – court jeweler who worked for Elizabeth and Catherine the Great. 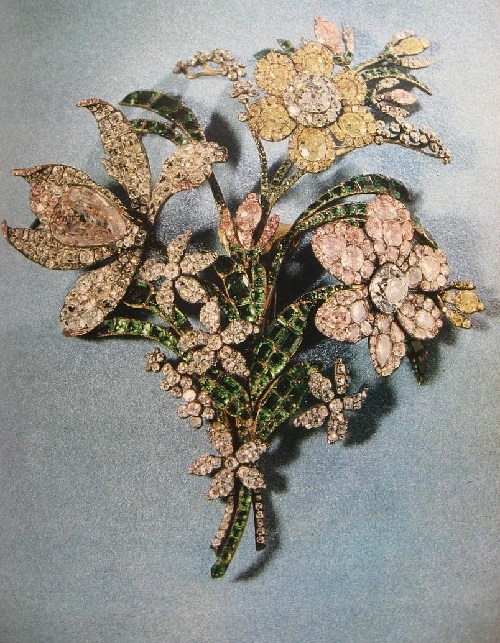 For Elizabeth, he created a series of colored bouquets of Brazilian diamonds, emeralds, pearls, crystal and gold. The peculiarity of Jeremie Pauzie style – a mixture of color combinations of stones. The creative life of Pauzie is one of the attributes of the Golden Age of Russian culture in the first third of the XIX century. Following the example of his predecessor, Empress Elizabeth, Catherine II was a tireless collector of jewelry masterpieces. Jewelry pieces by Jeremie Pauzie included in the unique collection of works of art in Russia, exhibited in The Art of the Goldsmith & the Jeweler in the A La Vieille Russie in New York (1968) and the exhibition “Carl Faberge and Stone Carving Masters” in the Moscow Kremlin (2011). 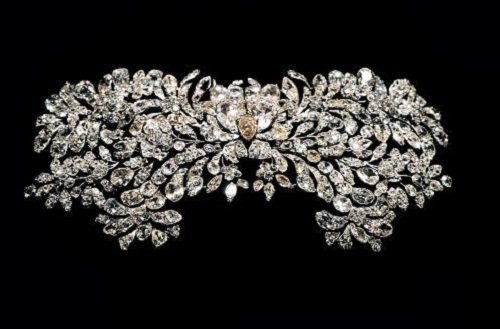 Great Imperial Crown was the last jewelry piece manufactured by Jeremie Pauzie in Russia. 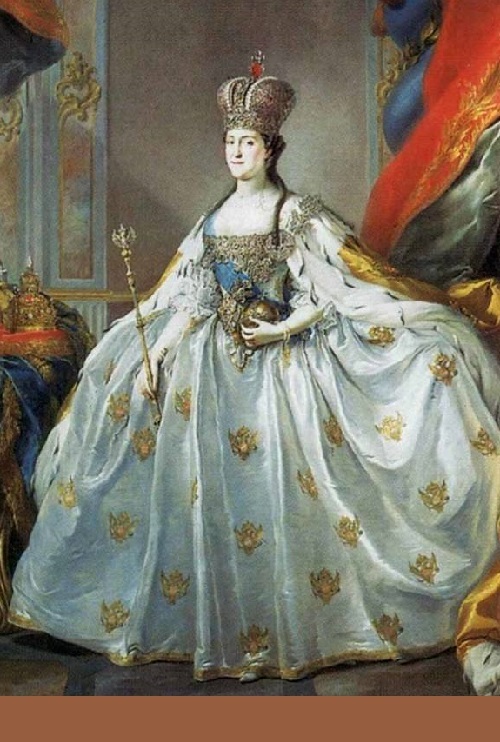 It was created for the coronation of Empress Catherine II the Great in 1762. Two famous masters Pauzie and Eckart were put only one condition – the crown should not weigh more than five pounds (two kilograms). Georg Friedrich Eckart was the author of sketches and Jeremie Pauzie was responsible for the selection of stones and manufacturing. 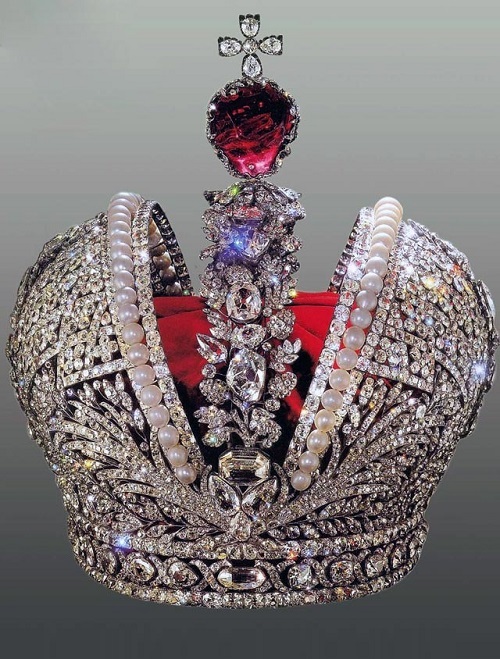 Crown was created in just two months, and became the most famous crown of the Russian Empire.